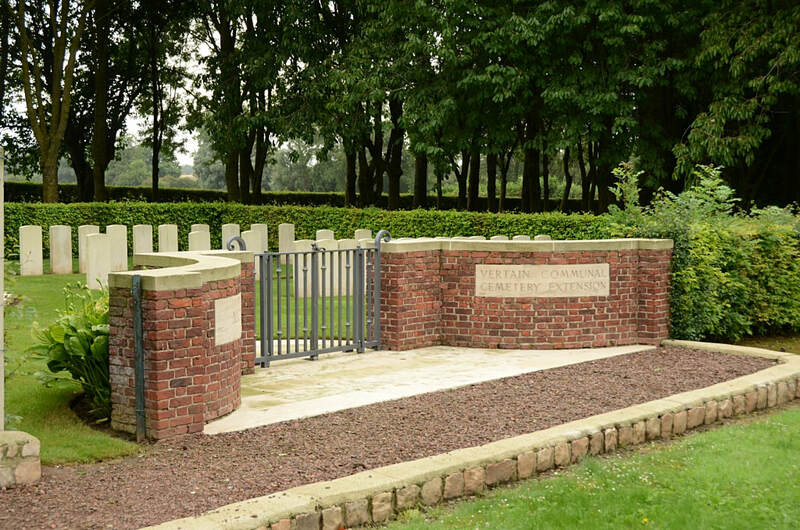 Vertain is a village in the Department of the Nord, 5 kilometres north-east of Solesmes. 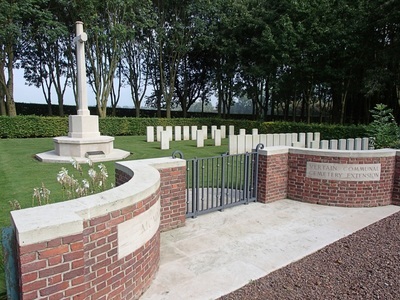 The Cemetery is at the west end of the village, on the road to Haussy. Vertain was captured on 23 October 1918 by the 24th Royal Fusiliers (2nd Division), who billeted there the same night. 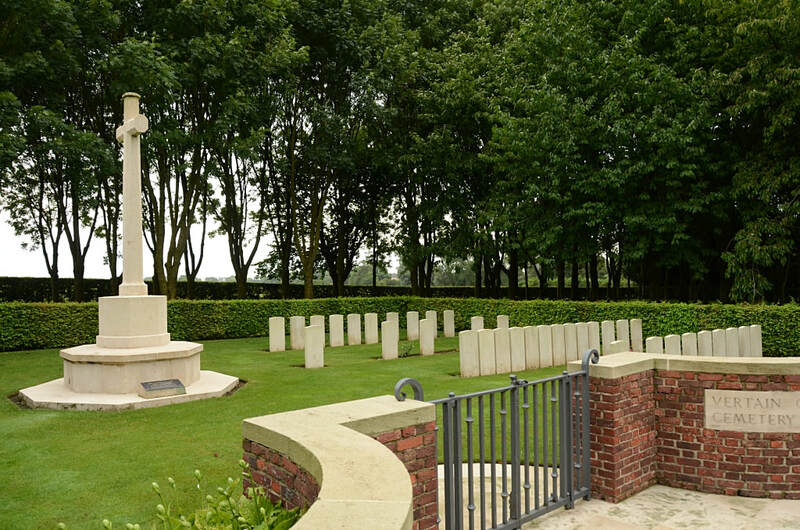 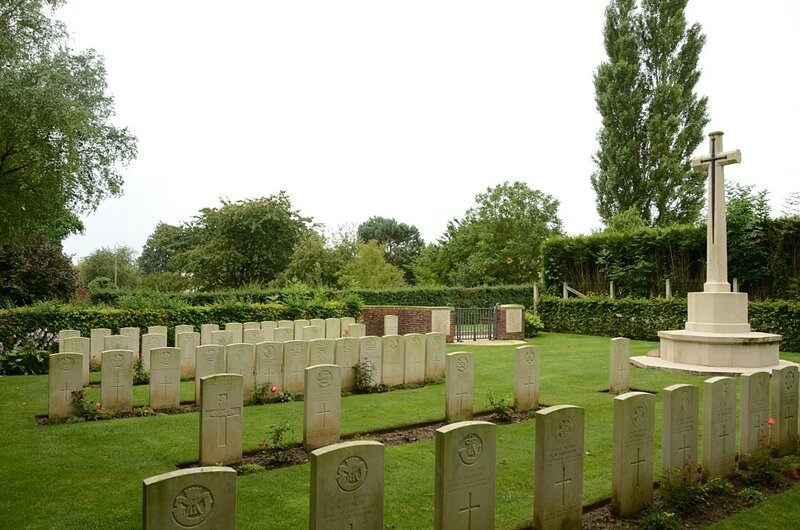 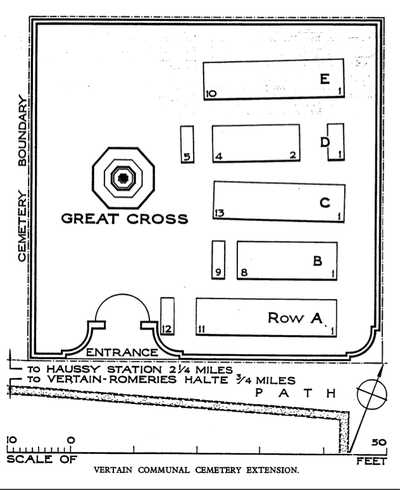 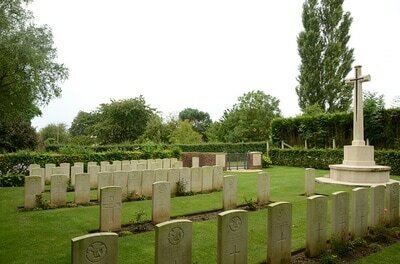 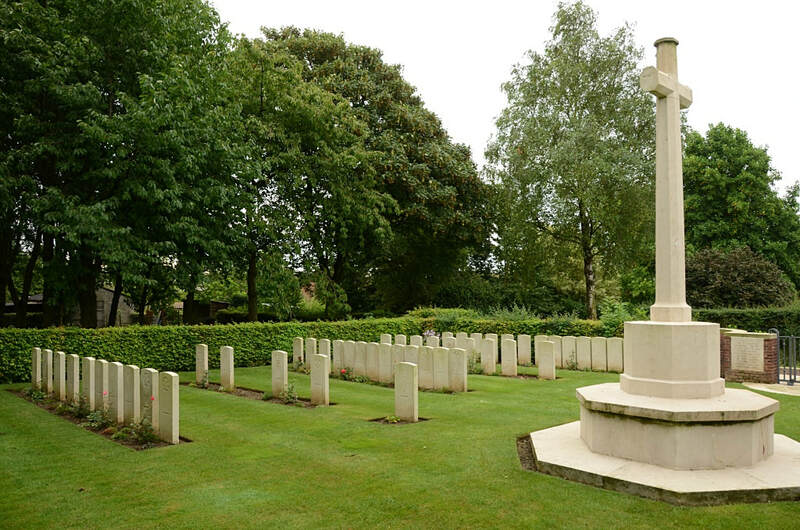 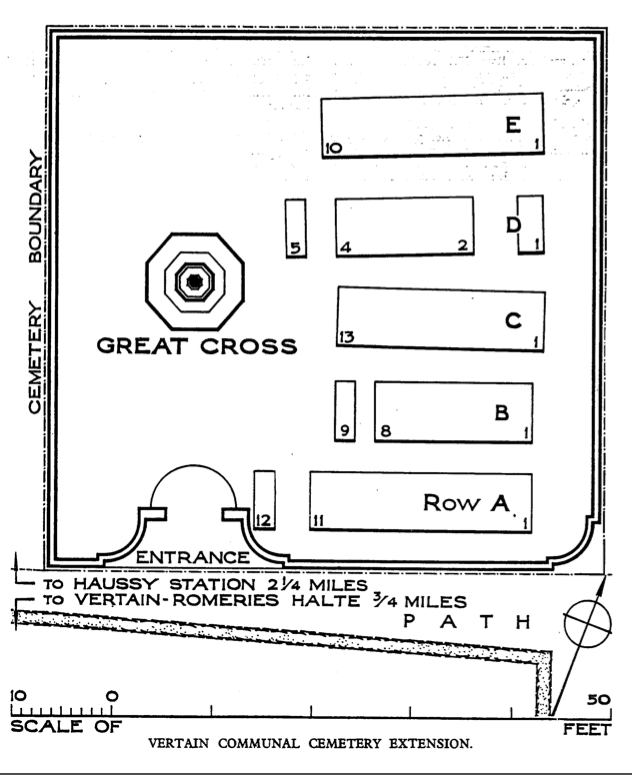 On the east side of the Communal Cemetery was a small German extension (removed in September 1922) and the Commonwealth extension was made at the end of October 1918 by the 2nd Division, on the east side of the German burials. The extension contains 52 Commonwealth burials of the First World War.